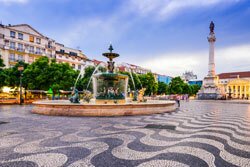 We are excited to once again assemble many of the leading clinicians and scientists from around the world for the 8th Advances Against Aspergillosis conference, to take place in Lisbon, Portugal from 1st to 3rd February 2018. This conference has now clearly established itself as the premier forum for detailed and dedicated discussion of all aspects of Aspergillus infection and research, and previously published proceedings have been very well-received. The Aspergillus field continues in a state of rapid advancement, including the publication of numerous post-genomic papers and substantial advances in translational, immunologic, epidemiologic and diagnostic research. The launch of several antifungals in the last few years and anticipated clinical trials of newer compounds with novel mechanisms of action is an exciting time for mycology. Pan-azole, and echinocandin resistance has emerged and requires unique approaches, and combination therapy remains an important area of interest. Greatly increased awareness of allergic aspergillosis has opened new opportunities for both antifungal agents and immunotherapies. New molecular strategies for diagnosis continue to make progress, and recent guidelines offer increased diagnostic insight. There is a continuing high death toll from invasive aspergillosis, including patient groups not usually associated with this opportunistic infection. This meeting is another chance to gather the world’s aspergillosis experts in one venue. A fundamental tenet of this colloquium continues to be to engender collaborative relationships amongst clinicians, scientists, and industry to further advance the field. 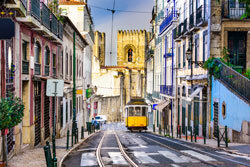 The conference will be held in charming Lisbon, a vibrant European city with excellent transport links. 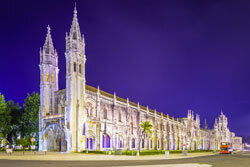 It is also conveniently located for post-conference touring of educational, historic, and lovely areas of Portugal. The weather is milder than other parts of Europe at that time of year. Continuing education credit will be arranged through the Royal College of Physicians in London, which will provide appropriate CPD and CME credit for participants. The Scientific Committee is being assembled, and the Scientific Committee Chair selected for this 8th meeting will be Prof. Cornelia Lass-Florl of Innsbruck, Austria. Speakers will be selected who are actively advancing the field with new discoveries. We again anticipate a truly international speaker list, and almost all the speakers will not have spoken at a recent Advances Against Aspergillosis meeting, in order to attract and display new talent and perspectives in the topic area. By our design, the majority of the newest published literature and hypotheses in the entire field have originated from the planned speakers of this conference. We anticipate more oral presentations from the excellent selection of abstracts always received, and in each of the last meetings we published approximately 200 abstracts. Ample time for discussion, and informal exchanges between participants, will again be planned. After each of the previous meetings, a journal supplement was published, containing key papers presented. As Advances Against Aspergillosis has become the leading global meeting for basic and clinical science regarding Aspergillus, its efforts form one of the foundations of the repository of knowledge about this pathogen; 245 papers have been published in 8 Supplements, comprising 1,863 pages of full papers, as well as 1,223 abstracts from the meetings. Because of the international success of the Advances Against Aspergillosis meetings in raising awareness of filamentous fungal infections, we were requested by leading clinicians and scientists studying the Zygomycetes and mucormycosis if we would expand our program to also provide a home and venue for presentations on this related science and its devastating clinical entities. We have agreed, and the 2018 program will also include a new platform for that discipline.